With the first half of the 2013 MLB season coming to a close, we take a look back at the best of Jordan Brand. With the first half of the 2013 MLB season coming to a close, we take a look back at the best of Jordan Brand and its small but elite group of athletes. Gio Gonzalez and Carl Crawford surprised us with a number of great PEs, while CC Sabathia and Jimmy Rollins broke out the kind of heat we've come to expect from the two legends. 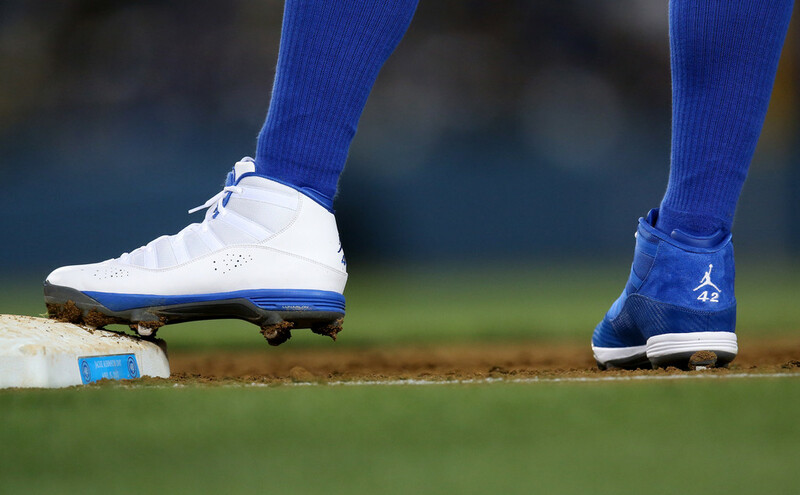 This past week, Derek Jeter made a brief return to the diamond in his signature Jordan cleats. 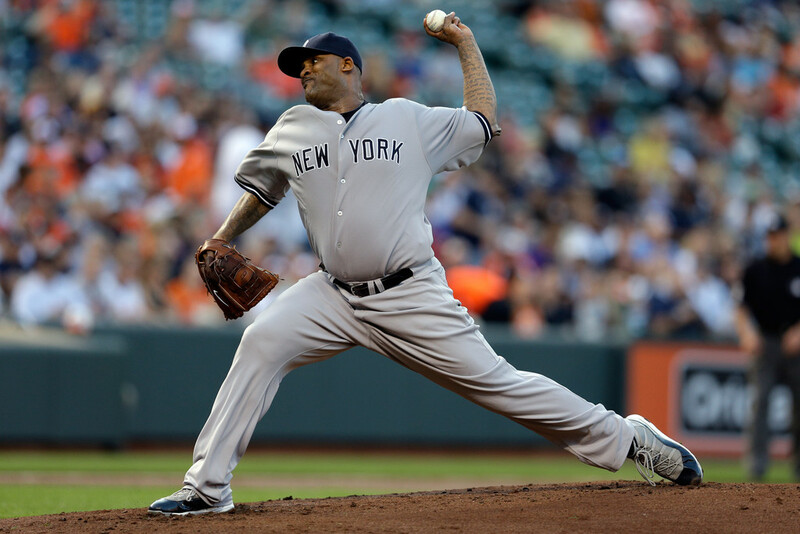 CC Sabathia wore a special Jordan 11 "Away" PE on the road. 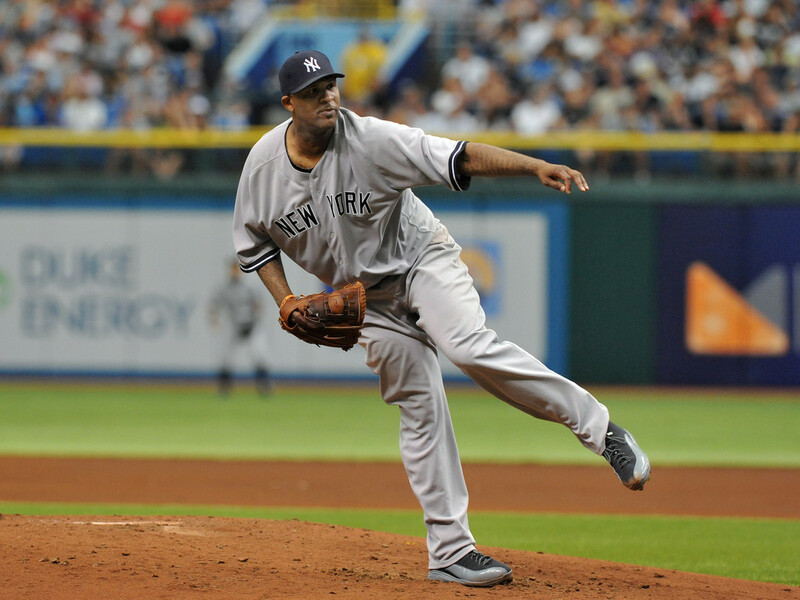 Another nice Black / Grey road PE for Sabathia, this time using the Jordan 12. 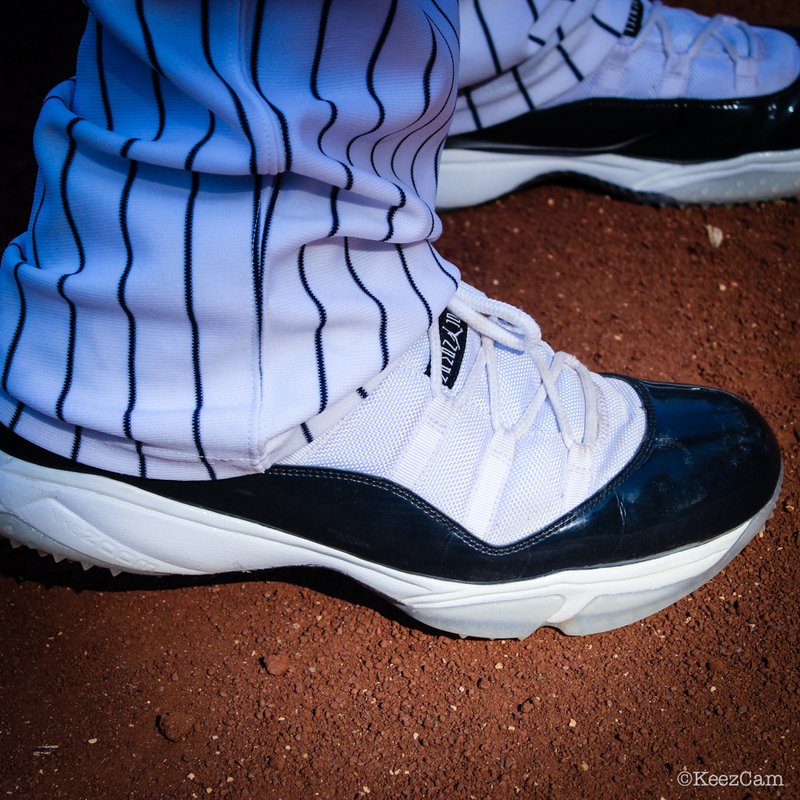 Keez spotted Sabathia in a special pre-game turf version of the "Concord" Jordan 11. 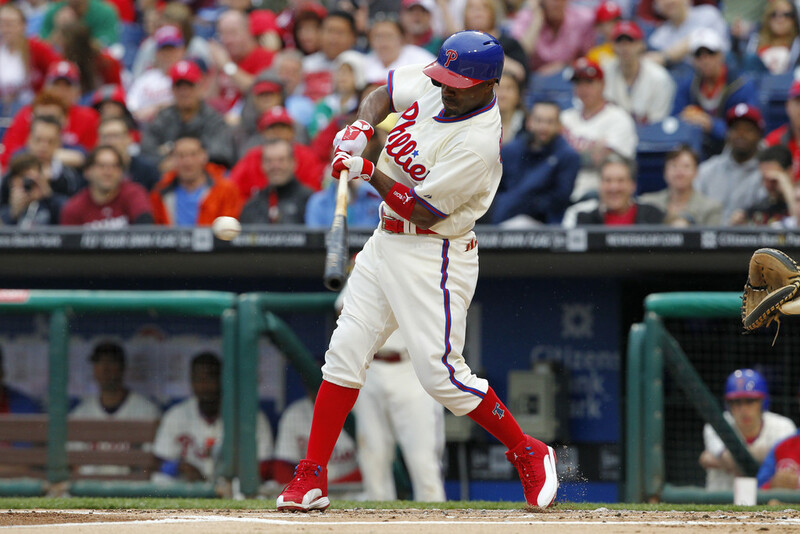 Jimmy Rollins finished the first half wearing a special Jordan Dominate Pro PE. 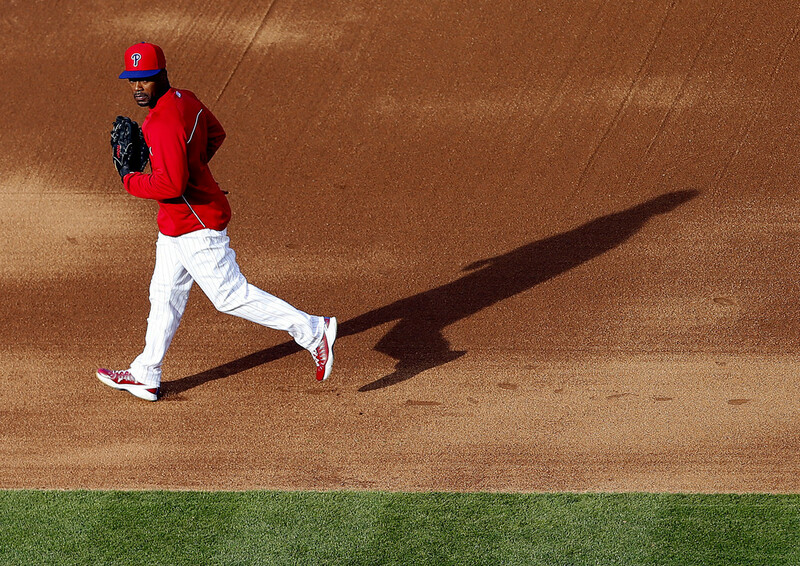 J-Roll continued to use a Jordan Super.Fly turf PE for his pre-game infield work. 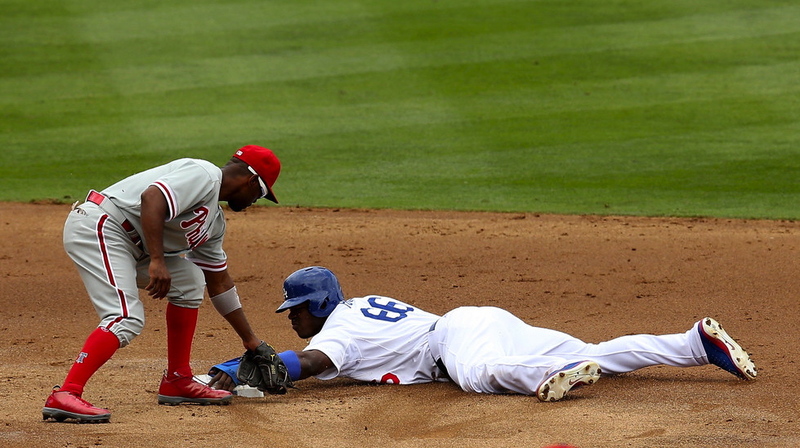 Rollins wore several great Jordan 12 PEs, including the red/white/blue combo above. 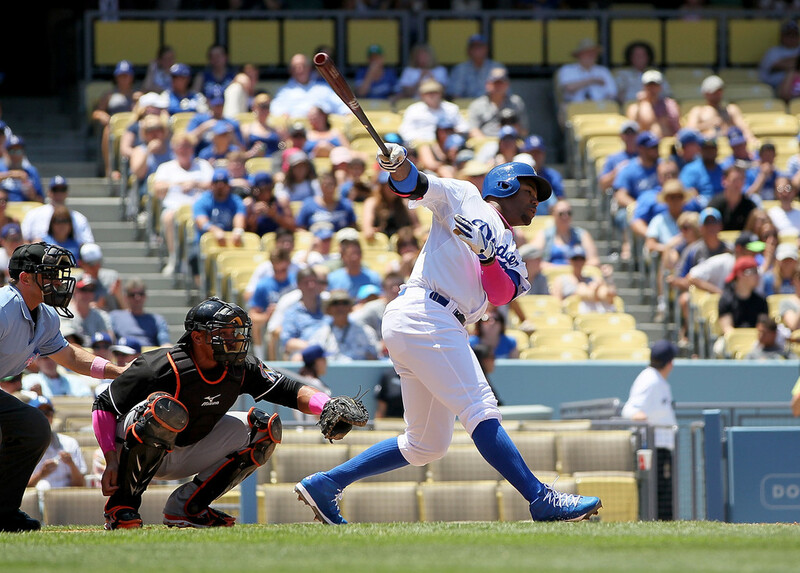 Carl Crawford has played much of 2013 in a Dodger blue Jordan 12 PE. Crawford also made good use of his all-blue Jordan Six Rings "42" PE. 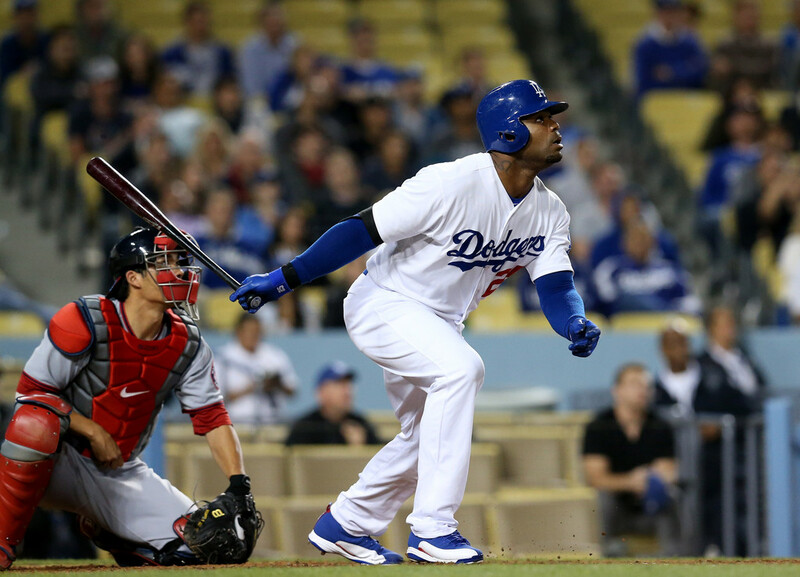 To celebrate Jackie Robinson Day, Crawford wore both colorways of his special "42" Six Rings PE at the same damn time. 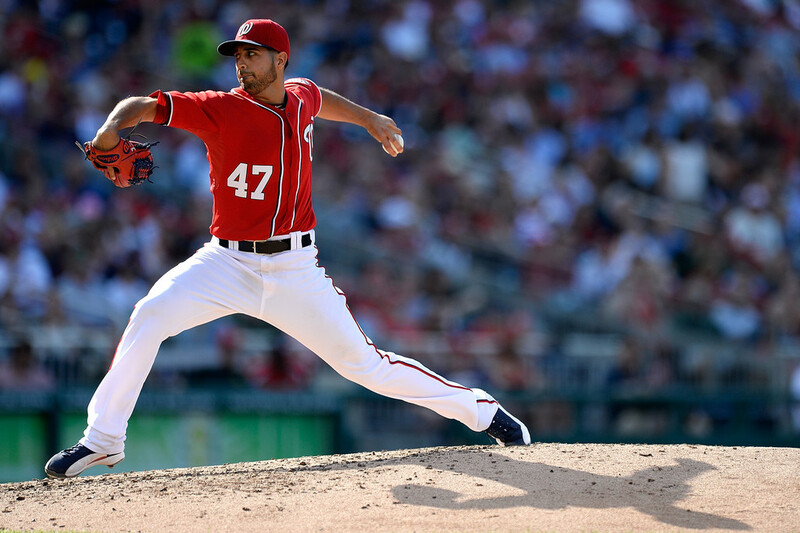 Gio Gonzalez settled in wearing his elephant print Jordan Black Cat PE. 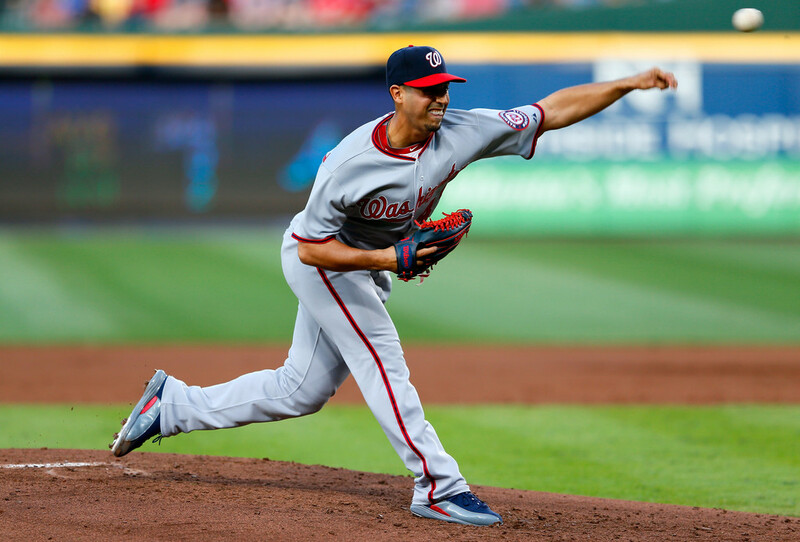 Gio also wore several Jordan 12 PEs, including the "home" navy/white/red colorway above. Gonzalez showed off his navy/grey/red Jordan 12 PE on the road. 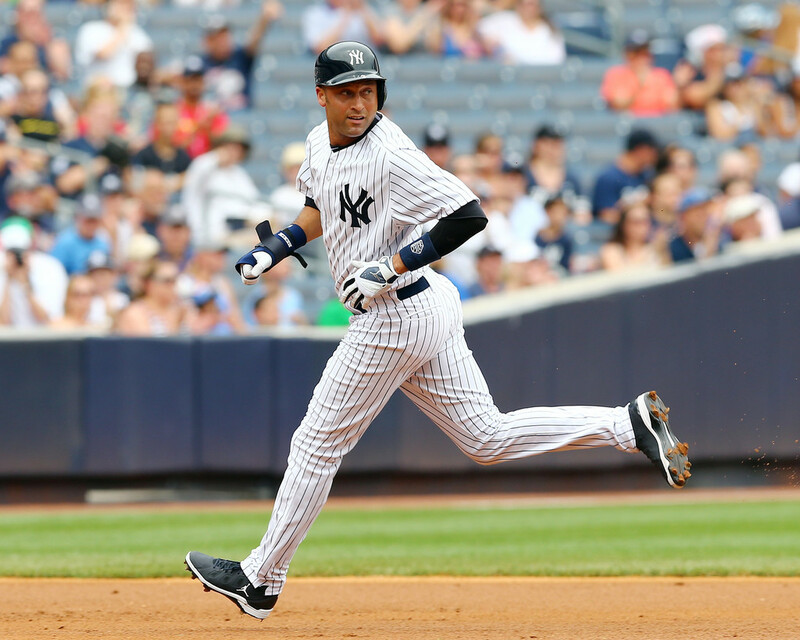 Number 2, Derek Jeter, number 2, returned to the field this week in the Jordan Jeter Legend Elite.